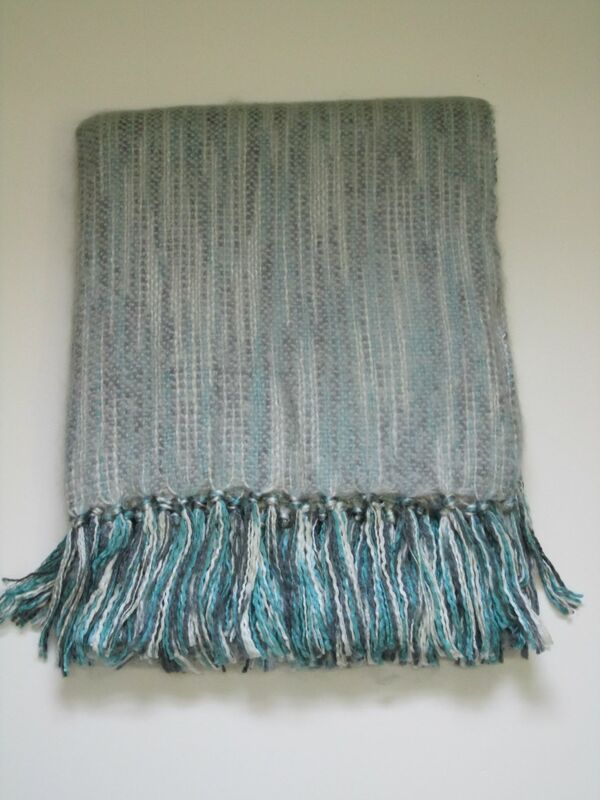 Our new brushed mohair-type throw is soooooo soft!! Featuring a subtle, space-dye stripe, this import is easy care and is sure to brighten any room setting. Woven in New Hampshire.